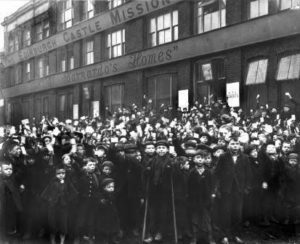 The Ragged School Museum is delighted to announce that it has been supported with £4.3 million from the Heritage Lottery Fund. This money is crucial to the safeguarding of the building and the work of the museum. We are enormously grateful to everyone who was involved in making this happen, especially National Lottery players! For further details about the funding, please read the Heritage Lottery Fund press release. This is a great step towards securing the histories of the ragged school movement and the plight of the Victorian poor for future generations! Comments Off on Heritage Lottery Fund Announcement!